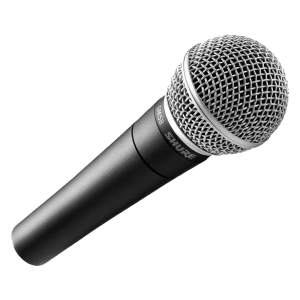 Hire the most versatile instrument microphone on the market the bullet proof Shure SM57. A multi-purpose microphone designed for clean sound reproduction of amplifies or acoustic instruments the industry standard for performance and recording, the versatile and rugged SM57 is an exceptional instrument microphone and vocal microphone. 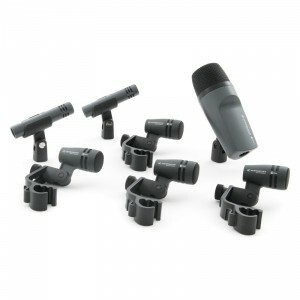 Conference AV have a large stock of microphones for hire contact us today with your requirements. 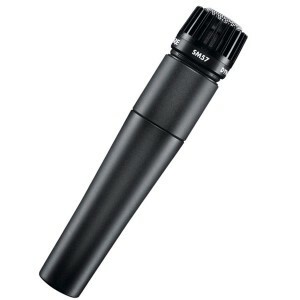 Hire a legend the Shure SM58. Tuned to accentuate the warmth and clarity of lead and back-up vocals, the SM58 is a legendary live vocal microphone known for its rugged reliability on tour. Its tailored vocal response for sound is a world standard for singing or speech. A highly effective, built-in spherical filter minimizes wind and breath “pop” noise. A unidirectional (cardioid) pickup pattern isolates the main sound source while minimizing unwanted background noise. Conference AV have many options in microphone hire to choose from contact us today for more info. Hire a wired table microphone for your next event perfect for use on a head table or as a moderator tool the simple use will ensure you are heard through the room. 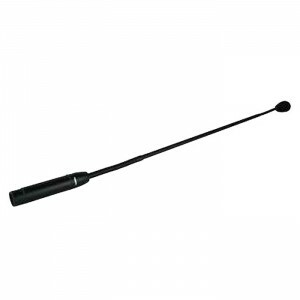 Combining a heavy cast base with a flexible gooseneck microphone the base will ensure minimal noise from the table is broadcast while the gooseneck mic will capture you voice with ease. Available to hire at a low daily rate from Conference Audio Visual. When you’re speaking to a large number of people in one room, be it 30 or 3,000, all the natural voice projection in the world will only get you so far. A microphone makes the process of communicating to a large audience infinitely easier, without putting unnecessary strain on your voice. 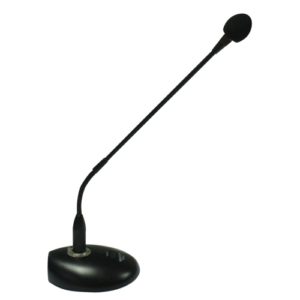 Conference Audio Visual offers affordable microphone hire in Melbourne, with a range of high-quality mics suitable for a variety of purposes. We have a selection of microphone hire options to cater for just about any need. From lectern microphones and table mics, right through to wireless microphones (includes options for handheld, lapel or headset mics), you’ll find a quality range of choices for your next Melbourne event. Conference Audio Visual offers competitive pricing for all your microphone hire needs. To find out more or to make a booking, simply get a quick quote online or call us on 1300 214 733. Click Here to view all our Microphone Hire Content.